Ricardos Cafe in Jamison Canberra is a very popular breakfast option & looks like it’s pet-friendly! First thing you should know about Ricardos is that it is ALWAYS busy. From the moment it opens, people swarm in, and that my friends is a sign that you should be in there too. I have been to Ricardos a number of times, but this time in particular was for a work breakfast farewell. Sadly there was no cake consumed at breakfast (even though I have done it before) but Ricardos would be my top recommendation for sweet treats in Canberra. Their enormous cake fridge is the statement piece of the entire cafe set up. As there was a few of us at the breakfast, we got an idea of the varied spread of dishes available for breakkie. 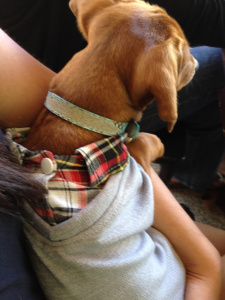 Plus its puppy friendly outside, if you can deal with the noise from the playground close by. 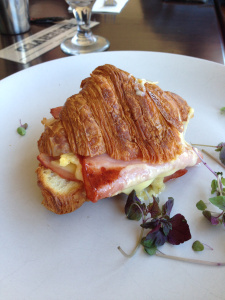 For the light eater, ham and cheese croissant.